SMART Event Marketing – full service advertising agency offers full service direct marketing. 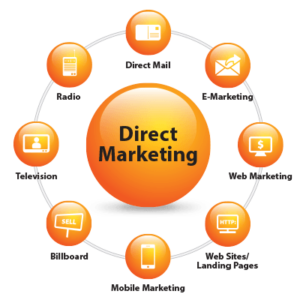 Direct marketing is a form of advertising that addresses a well defined set of targets in order to generate measurable results using addressable media tools like mail or email. Intensive uses direct marketing databases. Common tools for the direct marketing mailings are (also called direct mail, direct mailings or direct mailing), telemarketing, etc. – Direct Mailing – We offer complete creative enveloping and forwarding mail marketing letters. – E-mailing – We offer complete creative htmlizare and delivery, proffessional email campaigns with databases of our client bases. – Telemarketing – We provide logistical support for the sale by telephone – Callcenter – We provide logistics, concept and implementation for call center services – POS (Point of sales) – arranged for your company premises sales, adjusted according to the specific activities and profile campaign for additional information about services direct marketing advertising agency that SMART Event Marketing offers.